We encourage people to adopt a practice whereby any meeting that you are about to attend, you spend some time thinking about the types of questions that you could consider asking. When adopting this practice there are at least two levels of questions that should be considered. These are the ‘Big Picture’ or strategic questions, and the second level is the action or event level questions. 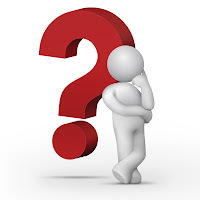 Most people have a tendency toward the action questions which often create a cycle of problems, questions and actions that may not be connected with the strategic possibilities that may exist. Developing your questioning skills will enable your to develop the capability to catalyse and conduct more Conversations That Matter®. For example I recently conducted a program where a team of participants were helping another participant (Dan) to prepare a list of powerful questions for a meeting that he was about to conduct with a team member Judith, the following week. Dan was an experienced manager and had authorised leave for Judith who had been with the organisation for about four months and had just completed a training program for her role. Judith had proven herself to be highly competent in her short time with the organisation. Two other staff were to share Judith’s duties while she was on leave. Dan had asked Judith if she was happy to train the two people to do her work and she had agreed to do so. Dan was happy that he’d been able to allow Judith to go on leave and was pleased that two other staff had been trained to do her work. However, on the first day that Judith was on leave he discovered that while the two staff had been ‘shown’ what to do, neither of them had actually been given the opportunity to ‘do’ the work in their ‘training’ and therefore had little idea about how to do Judith’s work. o Did you know that the two staff didn’t really know what to do when you were on leave? o What did you expect would happen on the first day of your leave? o Why didn’t you train them properly? To me, these questions were very much at the action/event level because they are focused on the detail that is ‘right in front of our eyes’. In this example it was clear that the staff had not been trained properly because their performance was lower than expected. Action-event level questions are like zooming in on an issue with a video camera. The problem with starting at action-event level questions is that if you are looking at the wrong picture you will zoom in on the wrong details! I then asked, “What performance outcome does your organisation desire when staff are ‘back-filled’ while on leave?” This was a strategic question, a ‘Big Picture’ question. “The same level of performance.” was Dan’s answer. “What system has the organisation created to ensure that the performance outcome that you desire will occur?” I continued. Strategic questions enable us to zoom out, to take in the whole picture and to see how the system is contributing to the issue, not just a single individual. We then focused back on the questions that Dan was preparing for his meeting with Judith. When generating the questions a member of the group then said, “Maybe it isn’t a meeting between Dan and Judith that we should be preparing these questions for. Maybe it is a meeting with between Dan and the rest of the organisation’s leadership team?”. For the first time Dan’s thinking on this issue had shifted. Nothing more than a shift in focus from creating answers to creating questions and a couple of strategic questions had enabled Dan to think differently. Think about the different outcomes that the two potential conversations with Judith would most likely create. Which outcome do you think is more likely to enhance Judith’s engagement with the organisation, and which one do you think is more likely to reduce her engagement? Clearly the new conversation that Dan was planning to have with Judith is more likely to enhance Judith’s engagement with the organisation. Preparing questions before meetings is a very powerful practice to include in your repertoire of leadership behaviours. Remember to prepare some strategic questions, and as soon as possible to introduce them to your conversation. A simple, yet effective action-event level question to be asked after discussing your strategic questions is, “What will we do next?”. If you are trying this practice for the first time, please let us know how you go. In addition, please share the questions that you used that seemed to be effective in helping the people with whom you are working to shift their focus to a more strategic level.